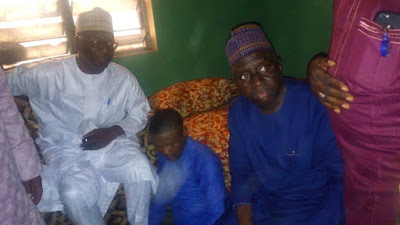 The gubenatorial candidate of the All Progressive Congress in the forthcoming general election, Abdulrahaman Abdulrazaq in company of Kwara Central Senatorial candidate of the party Dr. Ibraheem Yahaya Oloriegbe were today on sympathy visit to some victims of last weekend political violent in Ilorin. 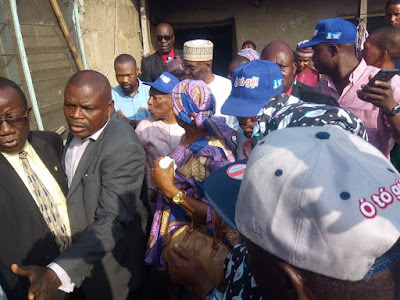 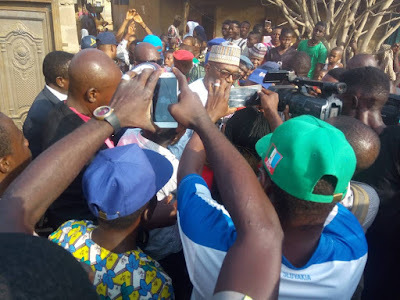 The two candidates who visited the victims today offered words of encouragement to the recuperating victims and encouraged them not to be discouraged in saving Kwara from hands of looters. Meanwhile, Oloriegbe in his reaction corroborated Abdulrahaman's view by maintaining that the attacks were deliberate attempt to discourage the party and her teeming supporters from campaigning and exercise their franchise in the upcoming general elections but thereafter give the assurance that they will not stop but continue vigorously in preaching the O TO GE gospel across the nook and crannies of the State.